Every business needs a great bookkeeper. It doesn't matter if you're in the US, Canada or Australia, all small businesses would benefit tremendously if they had the right person looking after their books. Our guest is one of those high caliber talents who runs the bookkeeping firm, Women Who Count based in the United Kingdom. She sits on the board of the International Association of Bookkeepers and her commitment and passion have been recognized when she was a finalist for the UK Women in Business Awards. She knows what it takes to build a strong business and is happy to share her success tips with you. To learn more about Women Who Count, click here. For the Women Who Count Facebook page, go here. For the Women Who Count LinkedIn page, check this out. If you don't know what they are and how destructive they can be to your bookkeeping business and life, you're listening to the right episode. The term pink-collar crime was popularized by Dr. Kathleen Daly during the 1980s to describe embezzlement type crimes that typically were committed by females based on limited opportunity. In this context, women were more likely to have committed low level crimes, such as bookkeeping fraud, from positions of less power compared to men who had engaged in acts of white-collar crime. Our guest, Kelly Paxton is a Pink Collar Crime expert who specializes in educating the public about this growing problem that has risen by over 40% since 1990. To learn more about Pink Collar Crime, click here. For Kelly's LinkedIn, visit this link. For her Twitter, check this out. Are you tired of working for your bookkeeping business? Are you ready to have your bookkeeping business work for you? Our guest, Karl Kremer knows how to make the latter a reality. He is a business coach who has over 30 years experience in business development, planning and execution working with Fortune 100 companies throughout the world. He helps his clients forge their business into a tool that they can use to improve the quality of their lives and the lives of those around them. To learn more about Karl, visit here. For his LinkedIn page, click this link. For his Facebook page, go here. For his Twitter page, click here. How do you provide your clients with peace of mind? Our guest, Vicki Lynch, who is the owner of Bottom Line Accounting Pros and a United States Air Force veteran, does this by getting her clients on a regimented process of routine to help them understand the bigger picture of their financial situation. After over 20 years of experience in the accounting field, Vicki realized that adopting a system oriented mindset is one of the key things that helped her succeed with her business. To learn more about Vicki's firm, visit here. For her LinkedIn page, click this link. You can email her at vicki@bottomlinepros.net. For an entrepreneur, it can be a confusing thing. Enter our guest, Gerri Detweiler. She is a credit expert, author and speaker who has helped people find reliable answers regarding credit issues for the past 20+ years through her educational programs and materials. She gives all the needed information for small business owners to make better decisions with tools and strategies to create a financially healthy business. She has been featured in more than 3000 interviews including on The Today Show, Dateline NBC, The New York Times, USA Today and Reader's Digest. To learn more about Gerri, visit here. To access Nav’s free Business Financing Calculators, they can be found here. To sign up for your Nav account, go here. Use the coupon code -- podcast. For Nav's Build Business Credit Checklist, visit this link. Working virtually is the new reality. As the years fly by, it’s become increasingly popular. Our guest, Gabrielle Fontaine knows all about it. She is a freelance bookkeeper who is an expert in working virtually. As the owner of BookkeepingDirect, she had a 100% virtual bookkeeping service since 2003 as an Advanced Certified QuickBooks Advisor. She is also the author of the blog, The Freelance Bookkeeper which provides practice building tips and training programs for startup bookkeeping firms and virtual bookkeepers around the globe. To contact and learn more about Gabrielle Fontaine, click here. To learn more about BookkeepingDirect, visit this link. For Gabrielle's LinkedIn page, check this out. For her Twitter page, investigate here. For her Facebook Page, go here. How is your brand communicating to others? Today’s fast-paced business environment requires leaders who can create impact and influence others with sound communication practices. Our guest, Stacey Hanke has trained over 15,000 executives to influence, persuade, sell, or simply effectively communicate face-to-face with a clear brand message. She runs Stacey Hanke Inc. which is a company that exists to equip leaders within organizations to communicate with confidence, presence and authenticity, day in and day out. She is also the author of Influence Redefined: Be the Leader You Were Meant to Be Monday to Monday. 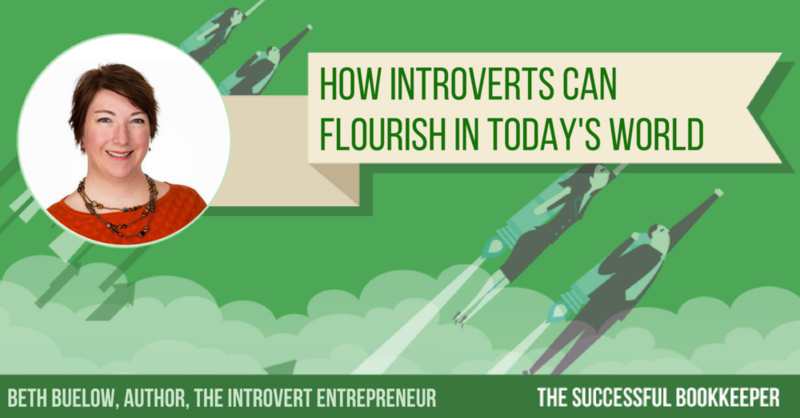 It provides a step-by-step method for improving communication and producing the ideal type of influence that moves people to action long after an interaction is over. To view Stacey's website, click here. To look at her LinkedIn page, visit this link. To get her book, Influence Redefined: Be the Leader You Were Meant to Be Monday to Monday, visit here. Our returning guest, Roger Knecht, who is the President of the Universal Accounting Center, is an expert in helping bookkeepers and accountants to be the best in the market. He has developed proven methods on how to understand your own pricing metrics and avoid the common mistakes. You will become more confident to charge your clients and it will give them clarity as to what services you're offering. To learn more about Universal Accounting, visit here. To download his free e-book, In the Black, click this link. To download his free e-book, Red to Black, discover here. How important are referrals to your business? Our guest, Stacey Brown Randall, who is a coach, author, and entrepreneur, cracked the code to overcoming the decades old advice that says “to receive referrals you must ask for them” then she perfected the art of self-maintaining clientele that consistently grows and drives revenue. She was able to save more time, make more money and bring in new clients. Today, she helps thousands of entrepreneurs accelerate their business growth through referral generation. To learn more about Stacey, visit here. To take the Referral Ninja Quiz, click here. For her LinkedIn page, go here. To buy her book, Generating Business Referrals Without Asking, click this link. Whether it’s a natural disaster, family problem or serious accident, a shocking event can disrupt business operations at any company. No one can predict the future; however, you can be ready with a comprehensive business continuity plan. With over 25 years of experience in financial management, project management, and all aspects of business operations, Cheryl Baldwin is an expert in continuity planning. She is also a Certified Professional Bookkeeper who launched BCP Business Services with the mission to help businesses and non-profits prosper. To learn more about BCP Business Services, click this link. To contact Cheryl, go here. Opportunity is waiting for you. Sometimes you can access it by making a follow-up call, email or in-person meeting. But yet, not everyone does it. 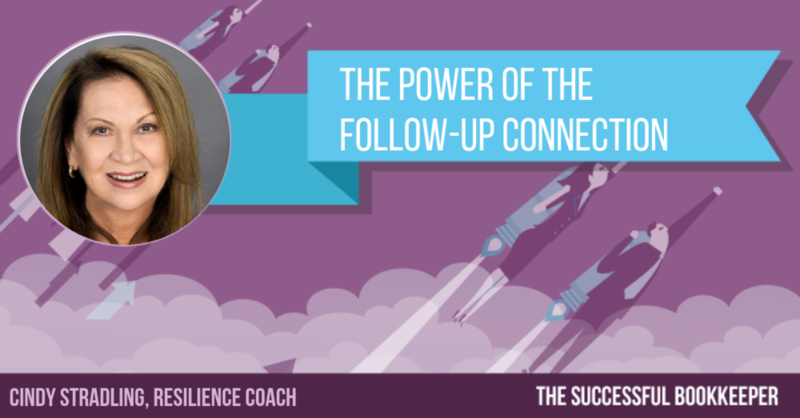 It's a shame because not following up can prevent you from attracting new bookkeeping clients, potential business partners or other rewards you've been searching for. Our returning guest is a master at following up. 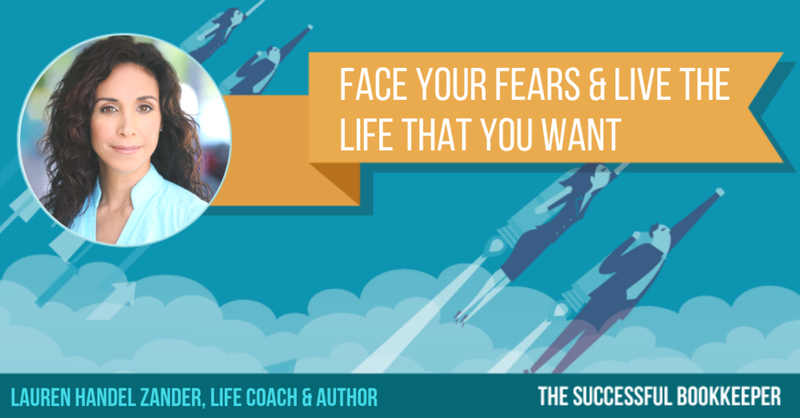 Cindy Stradling is a resilience coach, accomplished speaker and author. She has the skills and system that helped her align with great partners throughout her career and business life. She works with entrepreneurs, individuals and corporations (such as 3M Canada, Scotia McLeod and CIBC) to do what's needed to help them get where they need to go. To learn more about Cindy, visit here. For her Twitter, go here. Like any professional service provider, from a plumber to a dentist to a hairdresser, you need quality tools to do the best possible job for your clients. 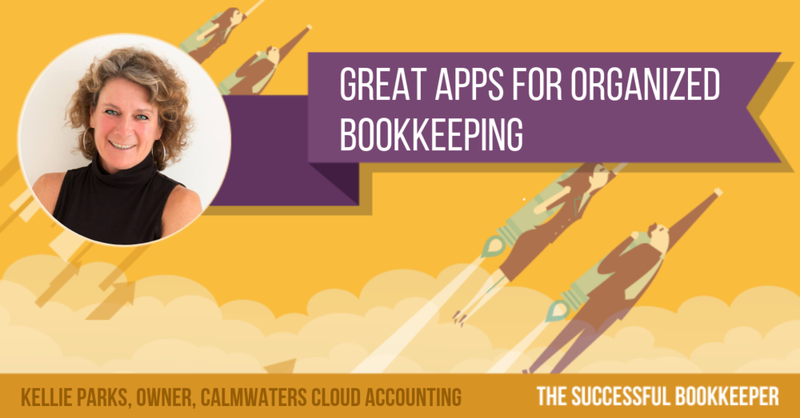 For bookkeepers, those tools come in the form of apps and software. These days they are a must to run your bookkeeping business effectively. Our guest today is one of the first in Canada to embrace and use bookkeeping apps. With years of experience, her intuition is always spot on. Elaine Orr, who is the CEO of BalanceSheets.ca, has over 30 years of accounting and bookkeeping experience and a strong interest in using technological innovations to maximize efficiency and reduce data entry. For Elaine’s LinkedIn page, click here. They can be scary and overwhelming, but breaking those big goals to little ones that you can manage is the key. That's according to our guest today, Helen Latimer, who is a career coach and owner of the company, 925 Resources which combines unconventional thinking and business acumen to help people achieve career success. She has been a speaker at events for a number of professional associations including the Human Resources Professionals Association's national convention and more recently, the Administrative Professionals' annual conference. To learn more about Helen, click here. To find out more about 925 Resources, visit this link. For Helen's LinkedIn page, check this out. To contact her, you can email helen@925resources.com. It can be hard to earn especially if you're a bookkeeper who has never hired anyone before or has trouble letting current employees make their own decisions in fear they'll mess up and cause you more work and frustration. The process of taking an employee that knows nothing to one that will eventually know something to one that becomes someone you can trust takes time. Our guest, Rhamy Alejeal understands this. He has worked over 10 years in the payroll, benefits, and HR industry. 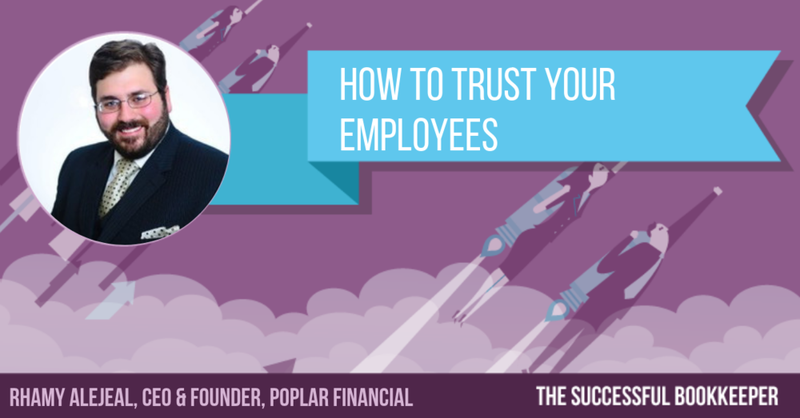 He is the CEO of Poplar Financial which provides solutions to some of the toughest problems facing entrepreneurs today by providing products and services that can be catered to fit their business needs. He also has a best-selling book, People Processes: How Your People Can Be Your Organization's Competitive Advantage which was recently featured in INC Magazine as one of the top 10 leadership books in 2018. To learn more about Poplar Financial, click here. For Rhamy's LinkedIn page, visit this link. To buy his book, here's the website. Are you always striving to be like LEGOS? Well, if not, you might want to consider it. Here’s what it stands for. There is a new level of competition in 2019, especially in tech enable and tech focus firms. Our returning guest, David Cristello, who is the founder and CEO of Jetpack Workflow and Host of Grow Your Firm Podcast, has followed LEGOS with his company. 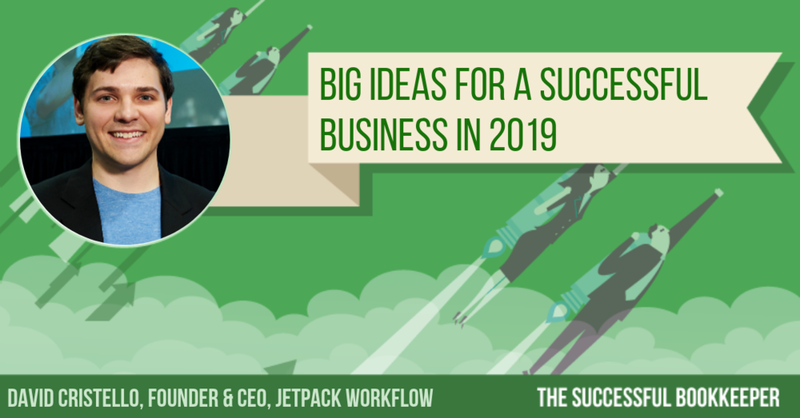 It helps small and medium business owners prepare, embrace and overcome what's coming in 2019. Starting a bookkeeping business or running one, can have so many potential pitfalls that it could make you tear your hair out. However, if you have clarity in regards to what your direction is and determination to execute your goals, you can overcome challenges. Our guest, Billie Anne Grigg has done that. She has been a bookkeeper for years and is the founder of Pocket Protector Bookkeeping which aims to provide an excellent virtual bookkeeping and managerial accounting solution for small businesses that cannot yet justify employing a full-time, in-house bookkeeping staff. To learn more about Billie Anne, click here. 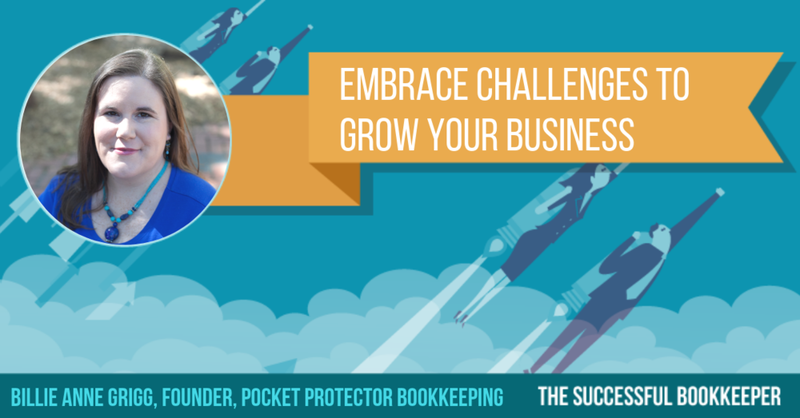 For her website, Pocket Protector Bookkeeping, go here. For her Facebook page, visit this link. For her Twitter page, discover here. To learn more about Profit First Professionals, click this link. Our guest learned that the hard way after realizing that communicating with humans is not logical, it is biological. Leadership and communication expert, John Bates has a methodology and training that is based in the evolutionary biology and neurophysiology of human communication, connection and interaction. It not only makes you a far better speaker and presenter, it makes you far more effective everywhere in your life including with your bookkeeping business. To learn more about John, visit here. For his LinkedIn, go here. For his YouTube videos, click this link. All bookkeeping business owners go through them. Our guest, Jennifer Walsh, who is the president of Censea Accounting & Business Solutions, is no different. She's experienced everything from being in the middle of a bad recession, competing with a lot of bookkeepers and staffing issues, but she has persevered because of her passion and desire to be successful. Today, her business helps small to medium sized business owners achieve financial success and has over 165 clients. EP117: Dr. Sean Stein Smith - What Is Cryptocurrency? These are a few of the popular cryptocurrencies in circulation today. Our guest, Dr. Sean Stein Smith, who is an assistant professor in the business and economic department at Lehman College and expert in cryptocurrencies, has some guidelines on how they might work in the accounting and bookkeeping worlds. Cryptocurrencies are slowly launching their way into the real world and it is best to know the basics about them before they become more widely used. How will cryptocurrencies affect accounting and bookkeeping firms? For Dr. Smith's LinkedIn, visit here. For his Twitter, click here. For his YouTube channel, go here. How do you stand out amongst the competition? You learn to understand your prospective clients' lingo. 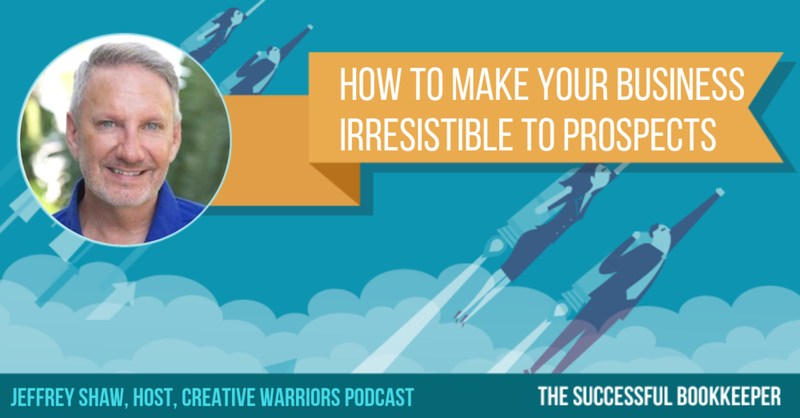 Our guest, Jeffrey Shaw, who is a nationally acclaimed keynote speaker and host of the popular business podcast, Creative Warriors, helps entrepreneurs and small businesses with their brand and messaging. He shares his practical action steps and insights on how to make your bookkeeping business easier and profitable. To visit his podcast, Creative Warriors, click here. For Jeffrey's Facebook, go here. For his LinkedIn, page, discover here. To buy his book, LINGO, click this link. That is Ron Saharyan’s focus. He is the co-founder and managing partner of Profit First Professionals. He is also a thought leader in business cash flow management, a speaker on the topic of small business profit and a host of a podcast called The Profit First Podcast along with his business partner, Mike Michalowicz. There’s an ongoing uprising change in the accounting and bookkeeping sector. And from Ron's exceptional vantage point of working with bookkeepers, accountants and business coaches, he will be sharing his thirst for embracing change and pricing renovation. To find out more about Ron, visit here. For Ron’s Facebook page, click here. To check out his book, Profit First: Transform Your Business from a Cash-Eating Monster to a Money-Making Machine, go here. To reach Ron, email him at rons@profitfirstprofessionals.com. EP114: Ed Kless – What Is Your Perceived Value? You can't do value lead pricing without having a conversation about perceived value. Our guest, Ed Kless, has taught this to many and he still sees the problem out there. 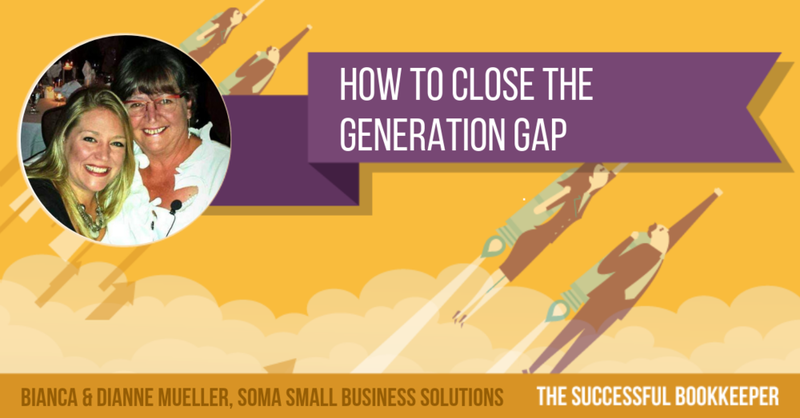 He is the Sage Senior Director of Partner Development and Strategy who is also the host of the Sage Advice Podcast and co-host of the hit show, The Soul of Enterprise with Value Pricing expert, Ron Baker. Ed believes quite a few professionals have challenges around crafting a great value discussion. It shouldn't have to be that way. He will share his insight. To find out more about Ed Kless, visit here. For his show, The Sage Advice podcast, listen here. For The Soul of Enterprise, click this link. To get his book, The Soul of Enterprise: Dialogues on Business in the Knowledge Economy, go here. 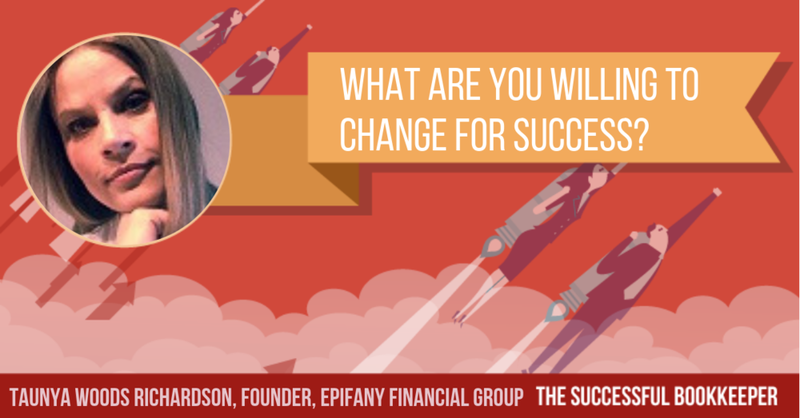 EP113: Taunya Woods Richardson – What Are You Willing To Change For Success? Your business finances mirror your personal finances. Taunya Woods Richardson learned that the hard way. She is not your typical finance personality. She didn’t get to where she is by belittling startups on national television. She didn’t create a pop-culture money-management app, and never wrote a best-selling book. What she does have in common with the money gurus of the world is knowledge. The kind that comes with 30 years of training, coaching and mentoring entrepreneurs to build better, stronger, healthier, and profitable companies. She knows what it takes to turn a profit in business and how to build the inner-strength and confidence needed to see you through any situation a business can throw at you. Taunya is the founding partner of Epifany Financial Group and the architect of several proprietary financial frameworks. She is one of a small and distinguished group of specialists emerging in the field of behavioural finance. Taunya is applauded for her innovative and refreshingly pragmatic approach to inspiring money mastery among Canadian entrepreneurs through eliminating financial obstacles. To find out more about Taunya, visit here. For her LinkedIn page, check out this link. For her Instagram page, view this link. Pure Bookkeeping co-founder and co-author of The E-Myth Bookkeeper, Debbie Roberts has been there. Back in her bookkeeping business days, she spent 12 months trying to manage the transition including preparing her legacy clients. Change wasn't easy, but with the help of proven systems, software, and standard operating procedures, she managed to effectively communicate with those clients to begin a smooth evolution of her business. To find out more about Debbie, visit here. For her Facebook page, click here. To check out her book, The E-Myth Bookkeeper, click this link. To view the Jetpack Workflow Integration, explore here. Cloud financial technology is the key to organization. Our returning guest, Kellie Parks is a relentless organizer and a cloud accounting specialist who runs Calmwaters Cloud Accounting. An ardent devotee of QuickBooks Online, Kellie is passionate about introducing QBO and its app partner programs to accountants and their clients. For Kellie’s Facebook page, visit here. For her LinkedIn, click here. To learn more about Calmwaters Accounting, discover here. Every time you take one, it will either work out or not. But, both results will teach you something. Our guest, Lauren Handel Zander, who is a life coach, author and co-founder of the Handel Group, mastered a revolutionary approach to life and created a groundbreaking methodology called The Handel Method. Through this process, you will understand your own inner dialogue and where it comes from. You will develop personal integrity and align your heart, mind, and actions with your dreams. You'll rewire yourself to speak and think the way you would design it versus the way you were born into it. Lauren has fixed corporate business relationships, mediated contract negotiations, reconciled marriages, and helped resolve complex family issues. The Handel method has been taught in over 35 major universities and institutes of learning across the country. For her Facebook, go here. For her Twitter, explore here. To buy her book, Maybe It's You: Cut the Crap. Face Your Fears. Love Your Life., click this link. Find out which areas of life you may need to work on with the free coaching tool from Lauren Zander and Handel Group, The Current Reality Quiz. It’s an easy (and fun!) way to self assess. Check it out here. If you'd like to connect with someone to find out more about our coaching options, schedule a free, 30 minute consultation at this link. 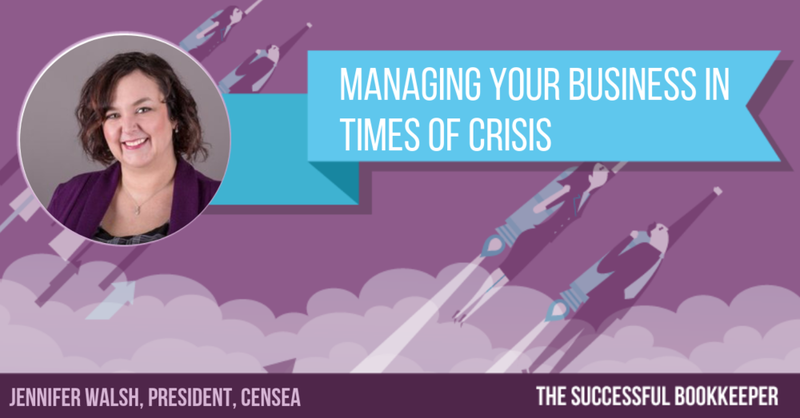 No matter the size, type, or industry of your business, being crisis ready will help you to be perfectly prepared for anything life throws at you. 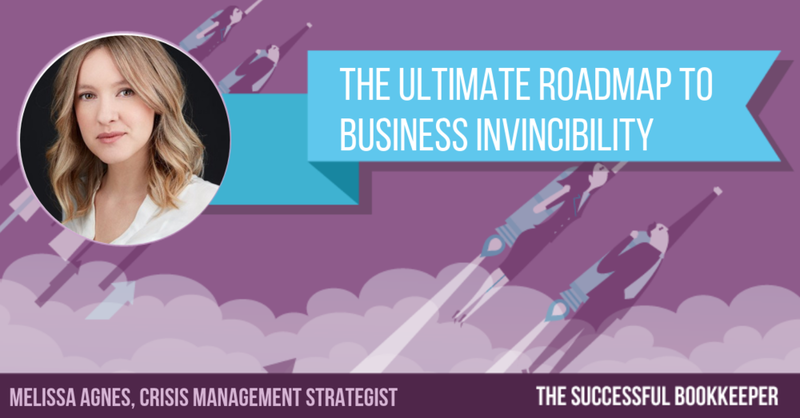 Our guest today is the author of Crisis Ready - Building an Invincible Brand in an Uncertain World. Melissa Agnes is a leading authority on crisis preparedness, reputation management, and brand protection. She is a coveted speaker, commentator, and advisor to some of today's leading organizations faced with the greatest risks, helping them become crisis ready and build brand invincibility. To learn more about Melissa Agnes, visit here. To get a copy of her book - Crisis Ready, check this out. The forecasting and evaluation of financial risks is vital to the life of your bookkeeping business. If you don't pay attention, your business will suffer. Our guest, Jennifer North is a certified professional bookkeeper who developed the Risk Management Checklist. She joined the Institute of Certified Bookkeepers USA (ICB USA) as an Administrative Manager. The checklist along with her wide range of skills and experience, both in marketing and accounting, are now helping ICB USA in its efforts to lead the future of bookkeeping certification in North America. To get in touch with Jennifer and receive a free copy of The Risk Management Checklist, email her at jennifer.north@icbusa.org. For her LinkedIn page, visit here. To further investigate ICB USA, go here. Bringing peace of mind to clients so they can focus on their businesses and not have to worry about daily financial operations are passions of our guest, Traci Yates. She is the founder and owner of Tralissa Inc. which offers bookkeeping, tax, and controller services to small and mid-sized businesses in Texas. Prior to founding Tralissa Inc, Traci served as corporate controller for three businesses. Her experience includes the automotive, lending, and startup industries. To learn more about Traci Yates, visit here. To reach her via email, here's her address - info@tralissainc.com. To check out Tralissa Inc, click this link. PLEASE NOTE: In this episode, a Jennifer North interview was mentioned as being a past episode, that is incorrect. Jennifer's episode will be released on Sept. 11th. Our apologies for the error. Resilience is the key to dealing with change, stress and adversity. Whether you are an entrepreneur who wants to make more money and experience more success, an individual looking for professional development program or an organization interested in giving your employees new skills and tools to work more effectively, our returning guest has the information to help everyone become more resilient. Facilitator, coach, speaker, sales consultant and author, Cindy Stradling brings over 25 years of practical hands on business experience to her work. She has developed unwavering resilience through her journey and has developed her sales and resilience programs to show others how they can too. To learn more about Cindy Stradling, visit here. For her Twitter page, click here. For the link to her program, visit here and you can take advantage of the early bird pricing by using the code: ATHENA. If you're a bookkeeper, you must embrace it. Today, there are so many great apps that you can use to make your bookkeeping business more efficient, productive and profitable. In this special episode, you'll discover a few. This won't be a typical interview because you'll hear audio from a Pure Bookkeeping Licensee Monthly Success Call, hosted by Michael Palmer, which features the President of Graham Consulting & Training Inc., Nancy Gwynne-Vaughan. She'll share her technology findings from the Intuit App Roadshow she attended. To learn more about Bookkeeping for Lawyers, visit here. For Nancy Gwynne-Vaughan’s Facebook page, click here. For Nancy Gwynne Vaughan’s LinkedIn page, go here. For Nancy Gwynne-Vaughan’s Twitter page, check this out. To get in touch with Nancy, email her at info@bookkeepingforlawyers.ca. Busyness is hyped in our present culture. Living a full life, at work and at home, is about doing the right things well, and positively missing out on everything else. Our returning guest will show you how to get there. 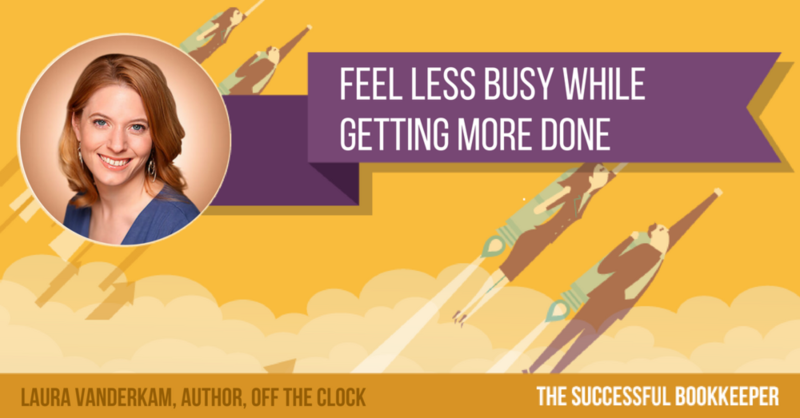 Laura Vanderkam is an expert at finding that balance and has helped many people through her various time management and productivity books including her newest, Off the Clock - Feel Less Busy When Getting More Done. To learn more about Laura Vanderkam, visit here. For her Twitter page, check this out. For her Instagram page, discover here. To learn more about Off the Clock and buy a copy, go here. 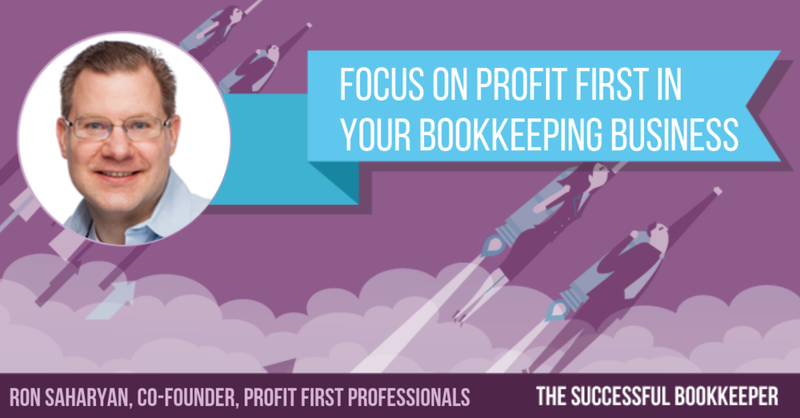 Does your bookkeeping business earn enough profit? Our returning guest, Universal Accounting Center President, Roger Knecht, who co-wrote the book, In the Black, helps small business owners grow their operations successfully. It helps owners understand how they can run their businesses more profitably and also speaks to the importance of the accounting role in the success of the company. It is filled with principles and concepts that you can use immediately to enhance your expertise and wisdom in business decision-making. For his Facebook, discover here. To listen to his previous episode, click here. To get a FREE copy of "In the Black: 9 Principles to Make Your Business Profitable" click here. 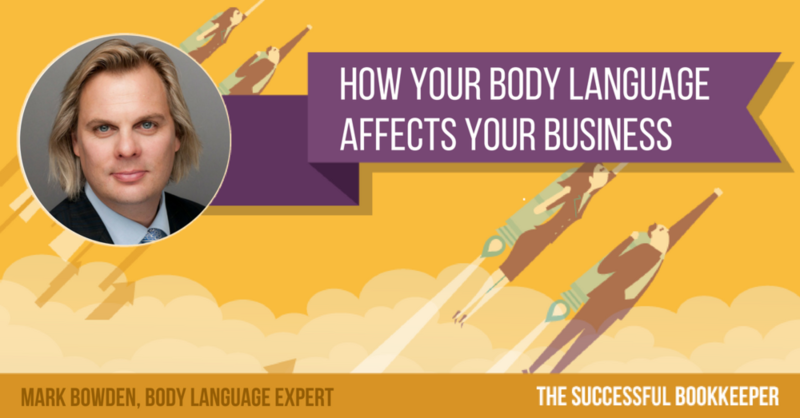 Our guest, Mark Bowden, who was voted the number one body language professional in the world, has been fascinated most of his life with visual imagery and the way other people perform and how they affect our behaviour. 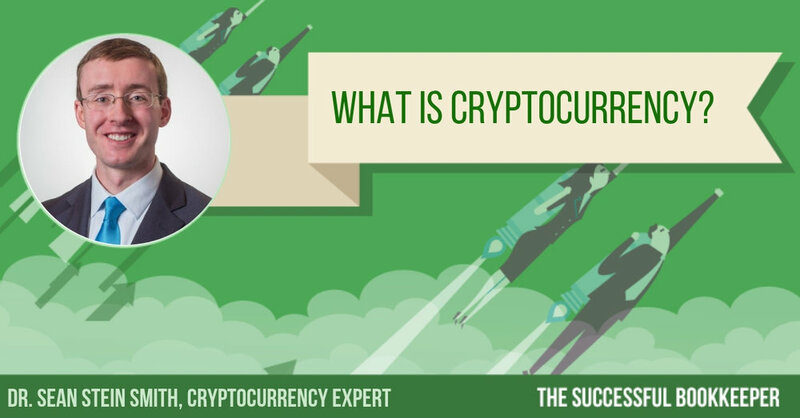 He's passionate about giving people the most influential and persuasive communication techniques to stand out, win trust and build credibility every time they communicate. Today, his work has reached millions of people and presented to many of the most innovative organizations in the world. For his Twitter, discover here. To buy his book, Truth & Lies: What People Are Really Thinking, go here. Andrew Argue, who is a CPA, spent years and years learning and understanding the fundamentals of how to become great at sales. He studied some of the most successful salespeople, read books, attended webinars, trainings, talking to mentors, and anything that he could get his hands on to help himself develop these skills. He started to work with larger accounting firms to grow their customer base. After a few months, his clients started seeing significant increases in new client fees. Today, he has assisted over 200 clients in 4 countries. To learn more about Andrew, visit here. For his Facebook, click here. Your brand can get to the heart of what you want to say, create a vision for where you're going next, and give you renewed focus and confidence in sharing what you do. 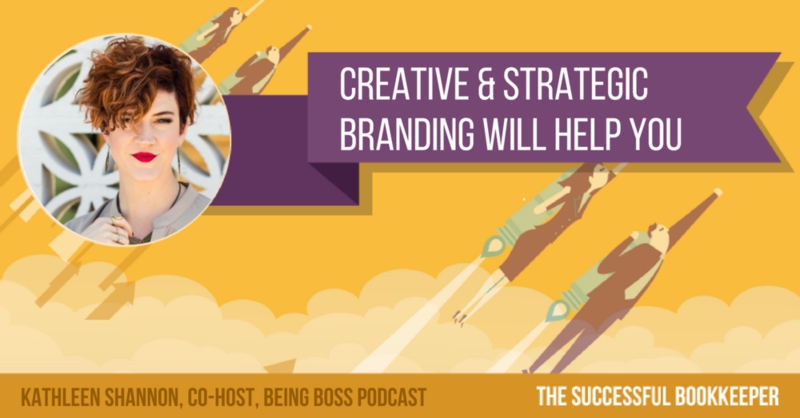 Kathleen Shannon, who is the co-founder of Braid Creative and the co-host of the Being Boss podcast, has perfected her branding. Through her work at Braid Creative and Being Boss, she has helped thousands of creative entrepreneurs worldwide to authentically brand and position themselves as creative experts, cultivate confidence in their business, and blend more of who they are into the work they do. She continues to have a positive impact by co-authoring the book, Being Boss: Take Control of Your Work and Live Life on Your Own Terms. To learn more about Kathleen, visit her website. To connect with her on Twitter, check this out. To find her on Instagram, read this. To learn more about the Being Boss podcast and book, visit here. To read about Braid Creative & Consulting, click this link.